Simone Calderara obtained the Master degree in Computer Engineering in 2005 and Ph.D in ICT in 2009 at University of Modena and Reggio Emilia. He is formerly assistant Professor ING-INF 05 area 09 at the University of Modena and Reggio Emilia and he is member of the Department of Engineering Enzo Ferrari DIEF. During his academic career he focused on studying the application of pattern recognition and Machine learning to analyze and study people tracking and behavior in visual surveillance contexts. He worked on several national and international projects on this topic, such as the PRIN 2009 FreeSurf project and the EU project CIPS-JLS THIS on the analysis of people behavior in public hubs. He participated actively to the NATO Science for Peace Project BeSafe where he started an active collaboration with the Hebrew University of Jerusalem (HUJI). He was visiting researcher at the HUJI machine learning laboratory in November 2010. From 2006 he is member of Imagelab Computer Vision Group at Modena University and SOFTECH-ICT center of Modena University. He has participated actively in the organization of national and international events. In 2008 was local organizer of Intl. Conference of Image Analysis and Processing and in 2010 of the Short Spring School in Surveillance. In 2012 he was program chair of the First Workshop on Pattern Recognition and Crowd Analysis at ICPR 2012 Tsukuba, Japan From 2009 he has worked with the municipalities of Modena and Sassuolo Police as an expert of forensic imaging. He developed several technical reports on forensic image analysis for Modena’s court. From 2016 he is coordinating the UNIMORE research unit in the project COSMOS of the National Program PRIN 2016. He is currently the lecturer of the Pattern Recognition and Machine Learning course at DIEF. He wrote more than 50 original scientific works ranging from international conferences to journals and book chapters. The h-index of Dr. Calderara is 17 (source Scholar) and in the last 3 years received two best paper awards at IEEE International Conference on Advanced Video and Signal Based Surveillance AVSS in 2013 and 2015 for his contributions on tracking evaluation and group detection in crowd. 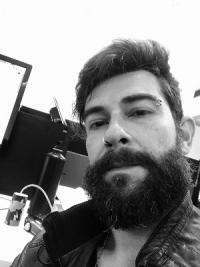 In 2016 (jointly with Prof. Cucchiara, Prof. Grana and Dr. Baraldi) he was author of the award winning proposal for the Facebook AI project that granted a GPU server for machine learning and computer vision activities to the Imagelab Research Group @ UNIMORE. His main research interests embrace structured learning, deep learning, computer vision and people tracking, applied to human behavior understanding and automotive.